High performance, environmentally friendly silicate mortar for sewage water areas. 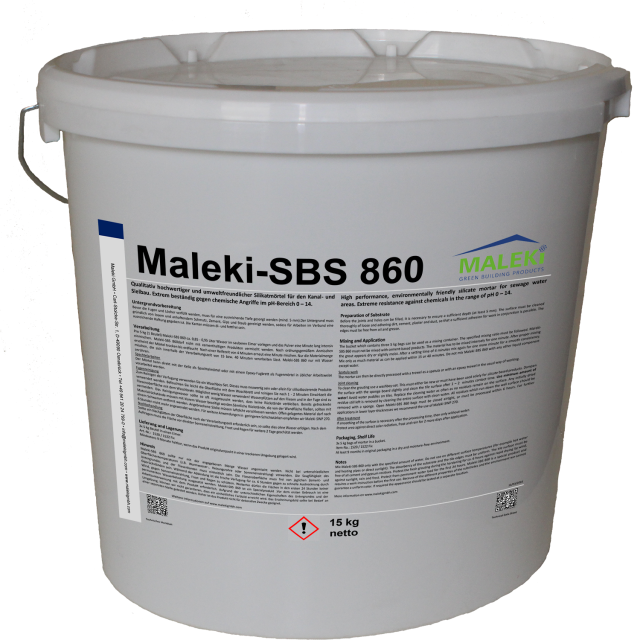 Extreme resistance against chemicals in the range of pH 0 – 14. The product requires depends on surface 2 kg/m²/mm layer thickness.